The FB Pocket Orchestra for hire. The absolute best in jazz, blues & ragtime. 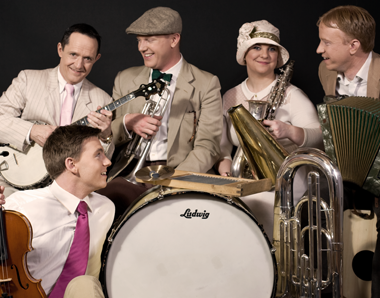 Their confident and vibrant music perfectly captures all elements of the 20s and the 30s. 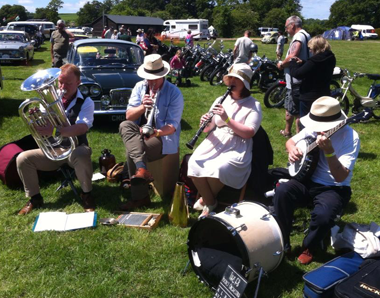 The FB Pocket Orchestra is a 3, 4 or 5 piece band who can play completely acoustically, or alternatively, with use of a small PA. 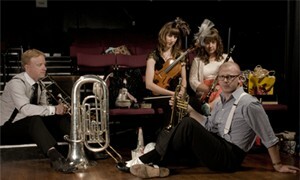 The FB Pocket Orchestra are reminiscent of many genres of music, ranging from New Orleans jazz to Palm Court style music. The instrumental line-ups consist of trumpet, vocals, viola, kick drum, guitar, trombone, alto saxophone and tuba. Each of the members originally began playing together in a variety of FB Music & Media Projects but, in 2012, they officially began playing as The FB Pocket Orchestra. The FB Pocket Orchestra takes its listeners back to the days of hot jazz, blues, ragtime and popular dances, with their cool and confident sounding music. They have no trouble in capturing the genres of the 1930s, the 1920s and even earlier. In their discography you can clearly hear the glamour and style of these eras. 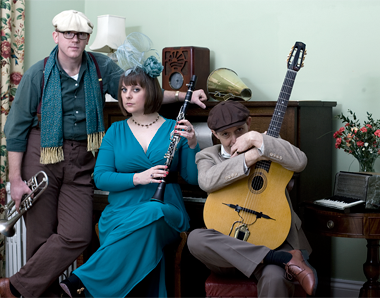 It is atmospheric, yet vibrant, and these two qualities together combine to make great music, meaning that the FB Pocket Orchestra are perfect for almost any social environment.